IN-STOCK at Cruisin Automotive. Speedtech parts for the 1967-1969 F Body- Camaro, Firebird. IN-STOCK at Cruisin Automotive. 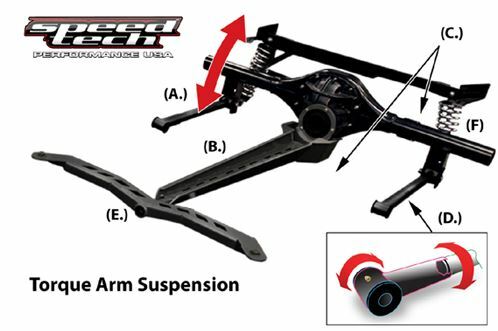 Speedtech’s Torque Arm System Suspension. 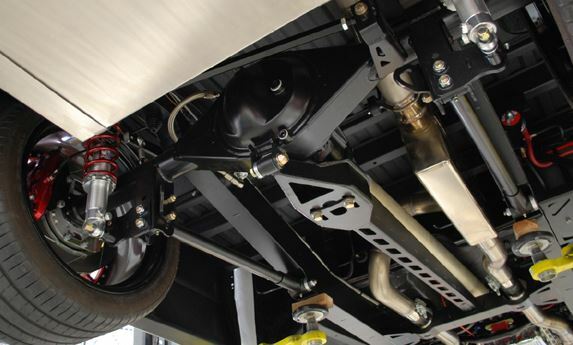 The main purpose of the rear suspension in better handling is to smoothly follow the front suspension and provide adequate travel range to keep the most amount of tire on the road at all times. The best application for this in a street car is the 3-link style Torque Arm. 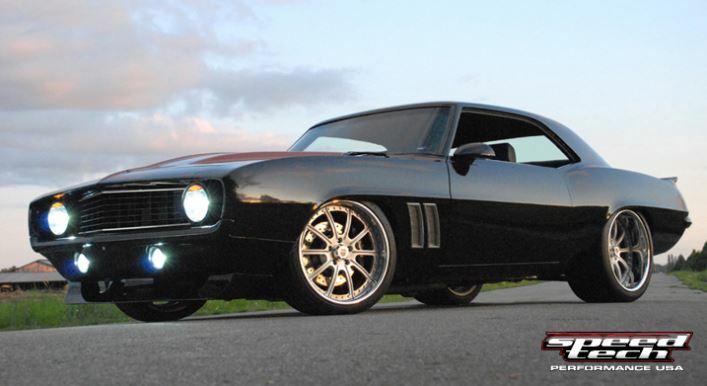 Even GM eventually figured this out and adopted this set up in Camaros and Firebirds in 1982, sticking with this design until the 2010 and newer cars incorporated independent rear suspension.